Ben Steel is an international producer, director and writer for television and feature film. He has produced successful film and television projects in the USA, UK, Czech Republic, Aruba, and Australia, as well as working in production crew roles for international hit movies including The Matrix, Moulin Rouge!, Babe: Pig in the City, Dark City, Doing Time For Patsy Cline, Oscar and Lucinda, Two Hands, Bootmen and the recent Aaron Eckhart movie I, Frankenstein. 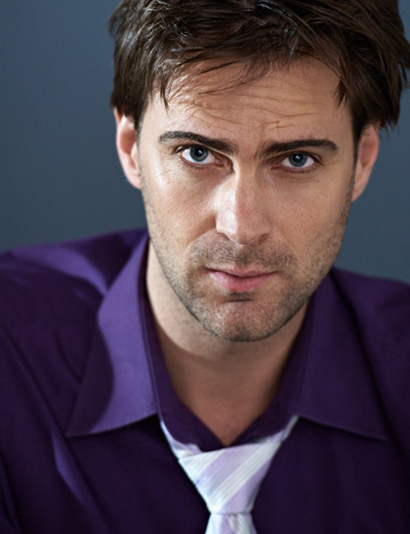 But audiences may best know Ben from his acting work both in Australia and overseas in roles such as the popular regular character “Jude Lawson” in Channel 7′s Home & Away and his more recent appearances in international feature films Solomon Kane (opposite James Purefoy) and George Lucas’ Red Tails. Ben has been most recently been on Australian television screens in the role of Aden Thomas for Winners & Losers, as well as playing Lcpl. Jack Winton for the film Peacekeepers, and ‘Secret Agent’ for the webseries Ninja Panda. Under the banner of Ben Steel Films, Ben is currently developing several feature film and television projects for the Australian and international screen markets with collaborators based in Australia, the UK and USA.